The gloomy weather lately made me want to create a tropical card. 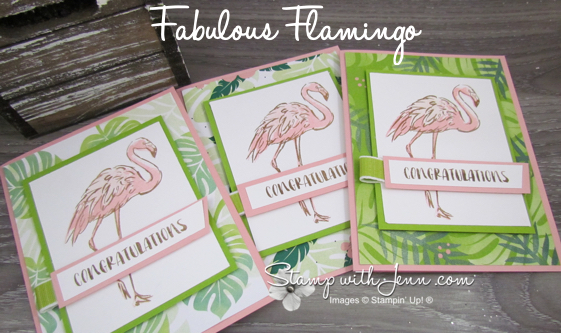 I used the Fabulous Flamingo stamp set and the fun Tropical Escape Designer Series Paper for this card to make this quick and easy card. I used the Stamparatus to line up and stamp the images for this two step stamping technique. You can see more about the Stamparatus here. 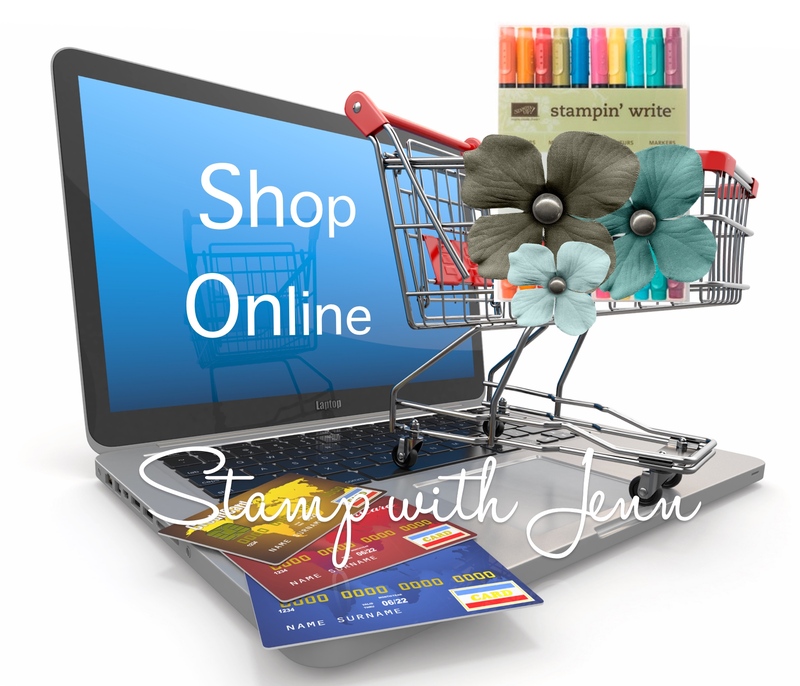 There are 2 plates, on the Stamparatus, where you attach your stamps, and you can use both sides of both surfaces, giving you four areas to add stamps. So I was able to have the four stamps I needed on the four sides of the plates. And then I was able to assembly line the stamping. And then it was a simple matter to quickly make this rest of this card. 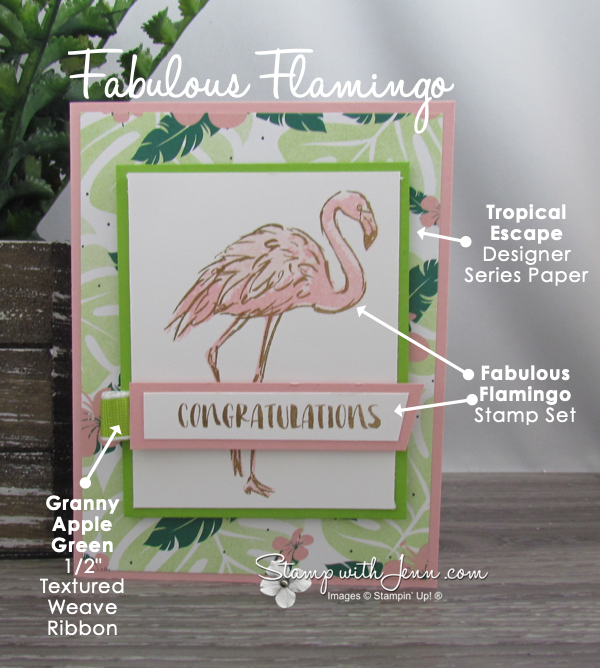 I used a variety of the gorgeous Tropical Escape DSP as it all colour-coordinated with my card. You can see a few variations of the card here. Colours on this card are Blushing Bride, Granny Apple Green, Shaded Spruce and Soft Suede. 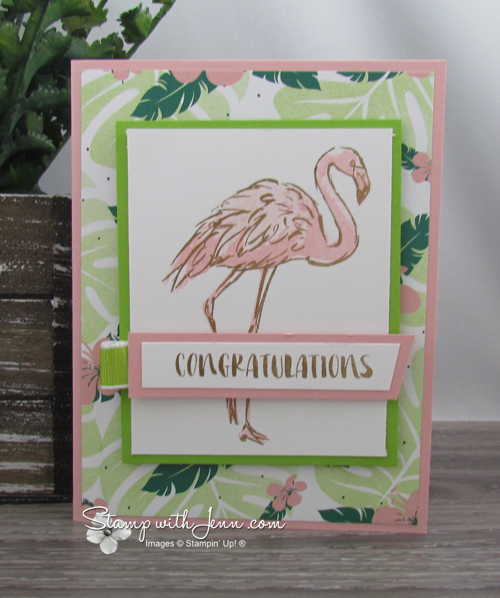 I stamped the first layer with Blushing Bride ink which was the underbelly of the bird and the inside of the legs (it is all one stamp). For the second and third layer, I used the Soft Suede ink for the outline of the body and the leg outline. And then for the top wings on the bird, I used Blushing Bride ink, but I stamped it off first, creating a light version of the ink. You can see all the supplies I used on this card, shown at the end of this post. The saying is also from the stamp set, and I stamped that in Soft Suede ink too. I finished the card off with small piece of Granny Apple Green ribbon loop at the end of one saying. And the final piece was highlighting the feathers of the bird with the Wink of Stella Glitter pen. I made this card as a congratulations card for some demonstrators on my team, but it could easily turn into a birthday card with a different saying. Check out all these products in my Online Store here. l New Stamparatus Tote Available!